How do I reset my stick layout in black ops so when I move the right joystick..
How do I reset my stick layout in black ops so when I move the right joystick up it goes up not down and when I move it down it goes down not up? My controller the stick goes up when I press down when I press down it..
Is there anyway to delete your xbox live save data (reseting you back ..
Now I'm assuming that you are already at the split screen section of the game, there should be a list of options such as, start game, create a class etc. Among them there should be one that says settings, there should be a option there saying controls, then you have to change it from default to the one you want. But none of them show up as up means up and down means down...help my brother messed with it and I don't know how to get it back. 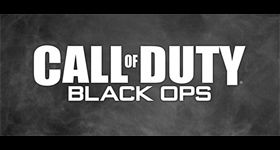 Search for more answers for Call of Duty: Black Ops or ask your own question here. How do you become invincible in black ops zombies???? Kino Der Toten Grenade Glitch/ Myste..